Despite the Wawrinkas, Potros, Thiems, and Raonics hanging around and sniffing about to cause upsets, the focus is once again on the Big Four. Aw yes. It’s that time of the year again. It’ll take a fortnight to initiate another year’s waiting, but the memories of players dressed up in pristine whites, playing on the meticulously cut grass will remain etched till that time. One year of intense drama, ups and downs, stories of decline and two fables of renaissance all boil down to this. When 128 players kick off the 131st Championships at the All England Tennis Club at Wimbledon on Monday, for the next two weeks, we will see tennis the way it was meant to be seen. 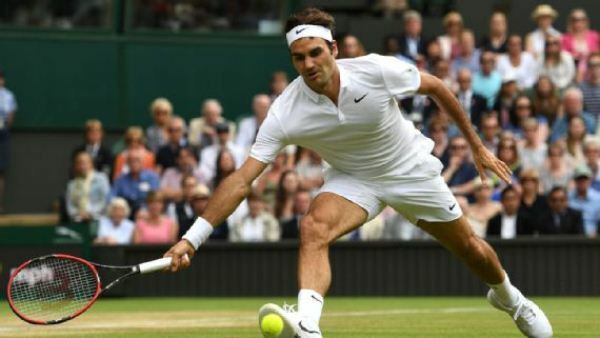 The original grass courts will be open for play, and everyone will be in a uniform, white attire (certainly with personal modifications, the colour remains uniform). The thumping sound of racquets meeting tennis balls is never more pleasant than on a grass court. And there is no grass court more pleasant than that of SW19, Wimbledon. A year ago, when local favourite Andy Murray hoisted the trophy for the second time, there was only one forecast. This would be, along with Novak Djokovic, a similar sight for the next few years. From solid predictions, these turned to desperate hopes in one year, as post the US Open last year; things have looked painfully peculiar for Djokovic. 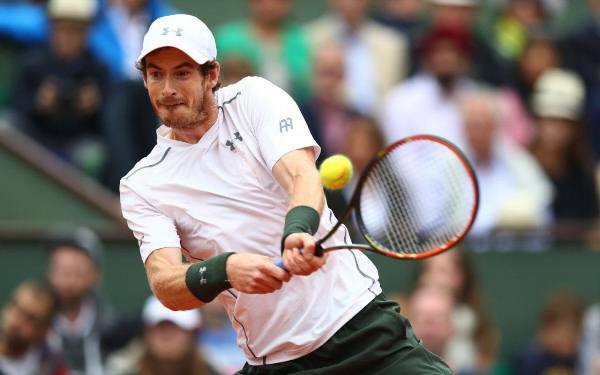 Since the dawn of 2017, the world number one and current Wimbledon champion, Murray’s form has looked nowhere but downhill. One would expect then, that there are new challengers taking the sword to the old crop. Who would’ve thought that the two legends that ruled the courts from 2004-2010 were back in business. The mind boggling rebirth of Roger Federer and Rafael Nadal has put them as favourites – at least on form and on paper – for this year’s championships. The oldest gentleman’s singles champion was Arthur Ashe in 1975 at the age of 31; Nadal is 31 and Federer is 35. Both have shared the two Grand Slams of this year, and have shared two Masters titles apiece as well. They’ve been handed opposite draws that can ensure another final, which would feel as a golden jubilee of a magnificent reunion. But are these expectations real? 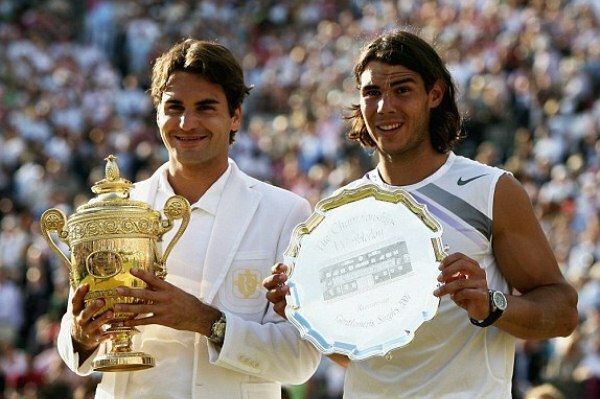 Can the two arguably greatest players in history contest another masterpiece like the 2008 final? If Federer, seeded third this year were to retire right now, he’d still go down as one of the greatest of all time. But at 35, he’s regained his mojo, is playing as sweetly as he’s ever played at his peak, and most importantly, is feeling free. Let’s face it, what does he have to lose? He’s turning that into a winning mentality. Grass and Wimbledon’s grass in particular, is his favourite surface, and he has owned centre court seven times – five times in one ago. Can he win this year and break Pete Sampras’ record of seven titles? He goes in as my favourite (a lot of bookies are with me on this) for this year’s edition. But the Fedexpress, who’ll be playing in his virtual backyard, has a tough draw with the likes of Alexander Zverev, Grigor Dimitrov, Milos Raonic and Djokovic, all in his way to the final. With his form and experience around this court, this could very well be Grand Slam number 19. If Nadal can muster up another final here, he’d be overjoyed. The Spaniard just won his 10th (yes 10th!) Roland Garros title last month, and is playing with a newfound confidence and belief. He’s injury-free, and seeded fourth, but none of this matters when you look at past form. 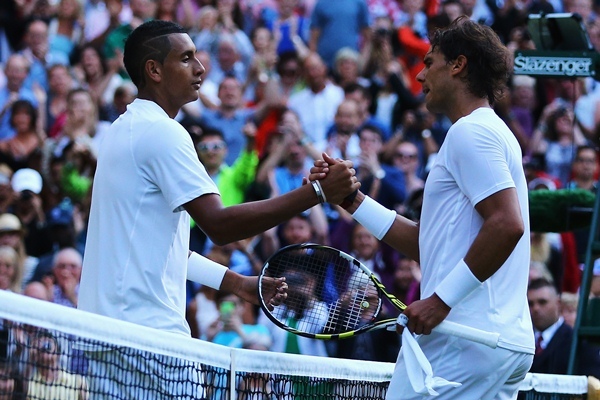 Nadal has had a horrid Wimbledon experience post 2011, and his best result is the fourth round in 2014 when Nick Kyrgios blew him away. His knees have failed to cope with the low bounce and increased pace of the grass courts, but this year, we might see a different Nadal. This Nadal is hungry, and he hasn’t been fed since 2011. But can he pull out a rabbit from his hat and employ his magic once more? The guy made five consecutive finals from 2006-2011. He can do it again, yes, but following realistic expectations, I predict his confidence to carry him through the first week, but no further than the quarters. What about Djokovic and Murray? Djokovic just won a warm-up tournament, and is handed a tough draw, with Del Potro hanging around in round three. Djokovic is without a permanent coaching team, and has had a poor 2017 by his outrageous standards. If he’s become slower, Wimbledon won’t help his cause. If he’s going through a mental block, maybe the warm-up win might give him confidence. Even if he goes through the first week unscathed, he’ll face the ever-young Swiss in the semi-finals. Sternest test of the year, check. Murray is in a complicated situation. He’s the home favourite and world number one, but three other players besides him can leave Wimbledon as the number one player in the world. The local crowd will rile him up; they will cheer with him, sigh with him, cry with him, and rejoice with him. Because he’s won it before, and because we saw a rapid improvement in Roland Garros, can the mercurial Scot rise from the abyss? We can only wait and find out, but he’s got the friendliest of draws amongst the Big Four. He should make it count. Despite the Wawrinkas, Potros, Thiems, and Raonics hanging around and sniffing about to cause upsets, the focus is once again on the Big Four. They’ve won the past 14 Wimbledon’s and can make it 15 times in succession. Let’s keep our fingers crossed for a Fedal rematch. It would be this generation’s epitome.